Shockwave Therapy has its origins in surgical use for the removal of kidney stones. The sound waves “dissolve” the stones causing them to crumble so that they can be easily removed. 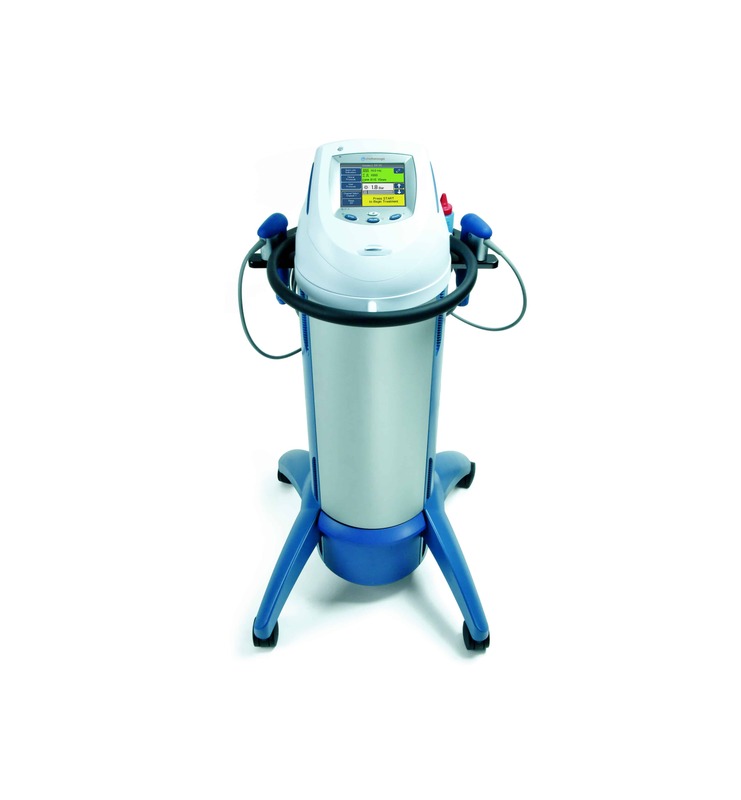 Radial Shockwave Therapy uses similar technology, however the waves diffuse through the affected tissues more widely, and are created to stimulate tissues, rather than destroy them. Research has demonstrated its effectiveness in reducing pain and promoting healing. It is particularly useful for heel pain such as plantar fasciitis, and tendon injuries. Treatment has also been shown to relax tight muscles and increase joint range of motion. This can be particularly helpful after periods of immobility due to injuries or surgery. The shock waves spread into the tissues as acoustic (sound) energy, and cause increased blood flow in the area, pain relief, and the relaxation and lengthening of tight muscles. Treatment is recommended weekly, and can take from 4 to 6 sessions to have maximum effect. Most people will experience 85% improvement after 3 treatments. Chronic conditions, present for a long time, may take longer to treat. You will be positioned comfortably, and gel will be applied to the area being treated. A loud tapping sound will be heard as the shockwaves are generated, and you may feel some initial discomfort before the pain relieving effects take over. Shockwave therapy is best used in conjunction with prescribed exercise, and other therapies recommended by your podiatrist such as appropriate footwear, dry needling, strapping or bracing, orthotics, weight loss, and activity modification. There are some people that are unsuitable for shockwave therapy, and if any of the following apply to you, then you should tell your podiatrist. 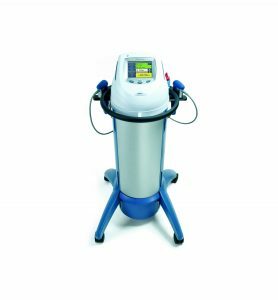 In some other circumstances Radial Shockwave Therapy may not be appropriate, and your podiatrist will advise you on alternative treatment strategies. ← Technology Amputation and Bionic Feet.